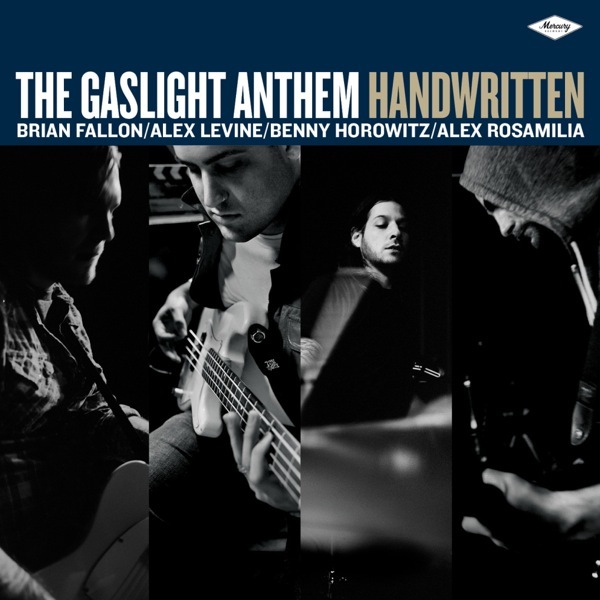 With their first major label record, The Gaslight Anthem have gone all-out to live up to their name, delivering 11 truly anthemic tracks that fuse Bruce Springsteen-esque vocals, hard rock riffs and raw, honest emotion. Produced by the double-Grammy winning Brendan O’Brien and with the backing of Mercury Records, their fourth studio album should see the New Jersey quartet reach an even wider audience in 2012. Leading off with the current radio-hogging single ’45’, Brian Fallon and co set a dizzying tempo; with sing-alongs and crunching guitars in abundance. Staying true to his promise, Fallon has delivered a much more aggressive album, which contrasts strongly with his sombre 2011 side-project The Horrible Crowes. Benny Horowitz and Alex Levine provide a solid, driving rhythm section as always, but more noticeable is how Alex Rosamilia’s lead guitar has developed into one of the band’s biggest strengths. Whereas before his licks sounded ornate and elaborate, on this record they are far more central to the overall sound, particularly on ‘Keepsake’, a lip-biting stomp that will have you fighting the urge to crack out the air guitar. Elsewhere, the album slips in a wide range of cultural references, from the suitably cinematic ‘Mulholland Drive’, to the joyous ‘whoa’s of Allen Ginsberg tribute ‘Howl’ (which would make an excellent follow-up single) while ‘Here Comes My Man’ is a clever nod to the Pixies. Read the rest of this review on Virgin Red Room click here.